Explanation: This cosmic pillar of gas and dust is nearly two light-years wide. The structure lies within one of our galaxy's largest star forming regions, the Carina Nebula, shining in southern skies at a distance of about 7,500 light-years. 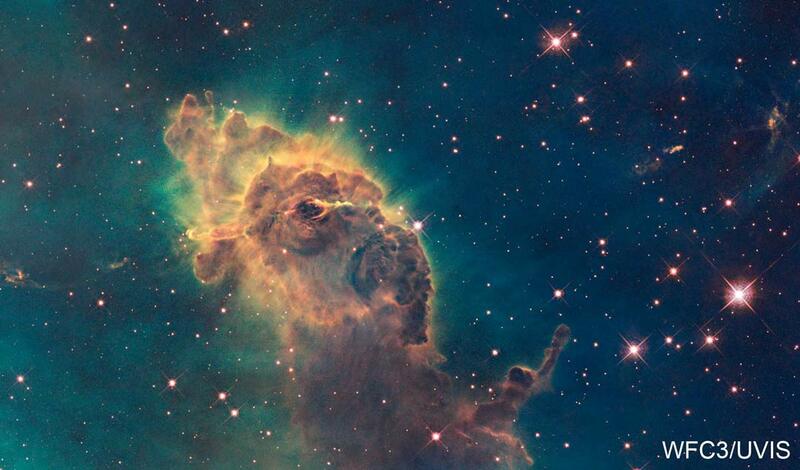 The pillar's convoluted outlines are shaped by the winds and radiation of Carina's young, hot, massive stars. But the interior of the cosmic pillar itself is home to stars in the process of formation. In fact, a penetrating infrared view shows the pillar is dominated by two, narrow, energetic jets blasting outward from a still hidden infant star. 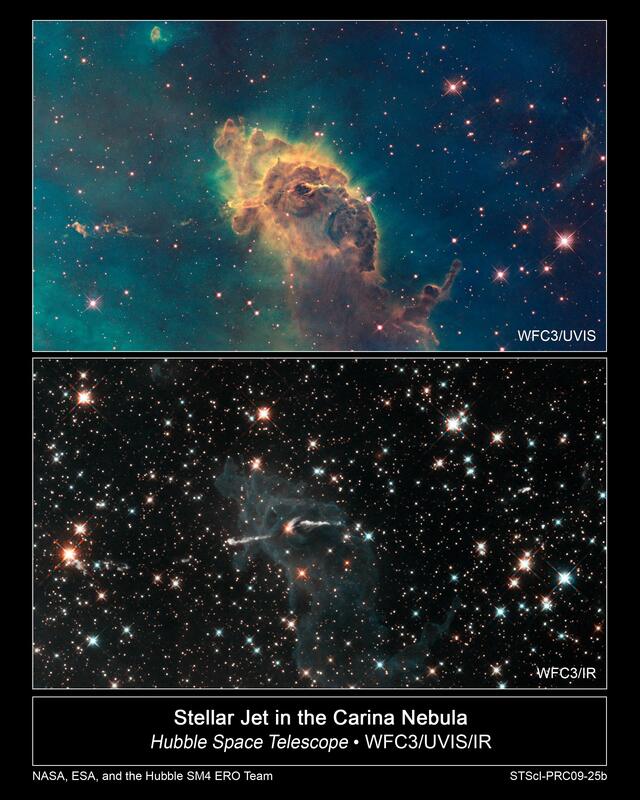 The above featured visible light image was made in 2009 using the Hubble Space Telescope's Wide Field Camera 3.